Reading David's writings are like looking into a mirror for me. The way he has chosen his subjects, be it Aaru or this book, brings out his indepth knowledge about the concepts of grief and loss. 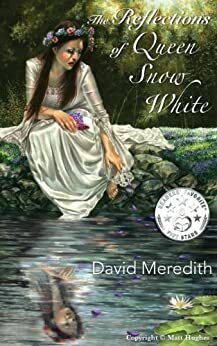 This fairytale fan fiction revolves around Snow White. It follows her life in the future. The story revolves around her reflections as she looks back and sees how her life has progressed. You need to read the story for details because if I say anything more, it will be a spoiler. David's writings don't reach out to a reader's heart, they reach out to their soul. Simple language, yet the words succeed in stirring up emotions that are deep inside. The imageries are vivid and narration is flawless. In fact, it has all the required ingredients needed for adapting it into a movie. The characters are amazingly etched. In fact, I found it easier to empathise with Queen Snow White because the grief that traumatised her is akin to the one I am undergoing. I emoted with her and the other characters in the story. To sum up, the revelation that Snow White's reflections brought out have finally helped me to refocus and heal. Hence, for me, this story goes into my personal library, to which I always turn for inspiration. I am going to read it every time I lose my focus in life. This amazing and excellent story is a definite must read. P.S - Thank you David for such an inspiring story. You helped me heal and I cannot tell you how grateful I am for the Eureka moment your story gave me. My review is an honest opinion after I finished reading this story.